• Translating schematic-level analog and RF circuits into layout views using Cadence and Mentor tools in a timely fashion. • Performing post-layout verification (DRC, LVS, etc) and parasitic extractions and debugging such issues. • A B.Sc. 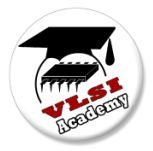 in Electrical Engineering, with an aptitude to learn and make a career in the area of VLSI layout design. • Experience in floor-planning, placement, layout, layout verification and parasitic extraction. • Experience in working with different EDA tools such as Cadence, Cadence Virtuoso, Calibre, and Mentor Graphics. • Literate in CMOS design kits. • Shell or SKILL scripts writing experience is a plus. To apply send your CV to human.resources@si-ware.com and indicate the position in the subject of the email.